Icelandair has dropped the price of their November and December flights from Edmonton to Copenhagen, Denmark down to $576 CAD roundtrip including taxes. 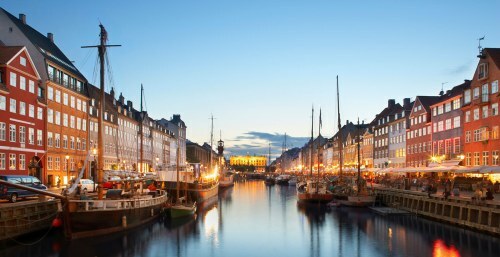 You can also turn these into a 2-in-1 trip and visit both Copenhagen, Denmark and Iceland for $40 more. Icelandair recently announced that they will no longer be flying from Edmonton in the winter months (January, February, March). But they are still going to be offering flights for late fall travel (November and December). 4. For the 1st and 3rd flights, try using dates that are the same as the dates in the list above, for regular roundtrip flights. And then play around with the middle date to give yourself more or less time in Denmark vs Iceland. For example: The list of regular roundtrip dates above shows Nov 20 to Dec 9.
edmonton, yeg, flight deals, europe, northern europe, icelandair, nordic countries, reykjavík, iceland, kef, reykjavik, scandinavia, denmark, cph and copenhagen.